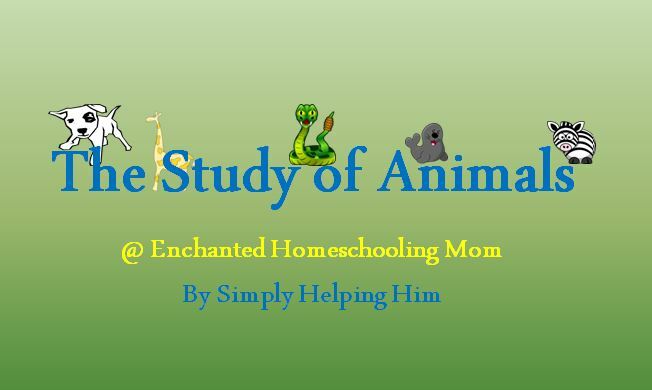 Over the next year I will be covering the anamalia (study of animals) over at Enchanted Homeschool Mom! Each month I will have a short lesson, and plan to include free printable activity sheets, snack ideas, and links to free printable coloring sheets as well. I hope you’ll follow me over there to check out the first post of the year! Be sure to link up before you go check out my post! Oh I lam looking forward to this. We will be looking at animals some time next year and I am really excited for this! I’m excited about it too! I’ll be writing the 2nd post of this series this week, I have lots to do now that I’m back from vaca! LOL! Blessings! Thanks so much, Misty, for hosting…Be safe in your travels! Chris recently posted..“Look Ma, No Hands!” Extreme Pogo: The Video~ At Our House! Thank you so much! We made it home safe and sound yesterday afternoon! I love sleeping in my own bed! LOL!